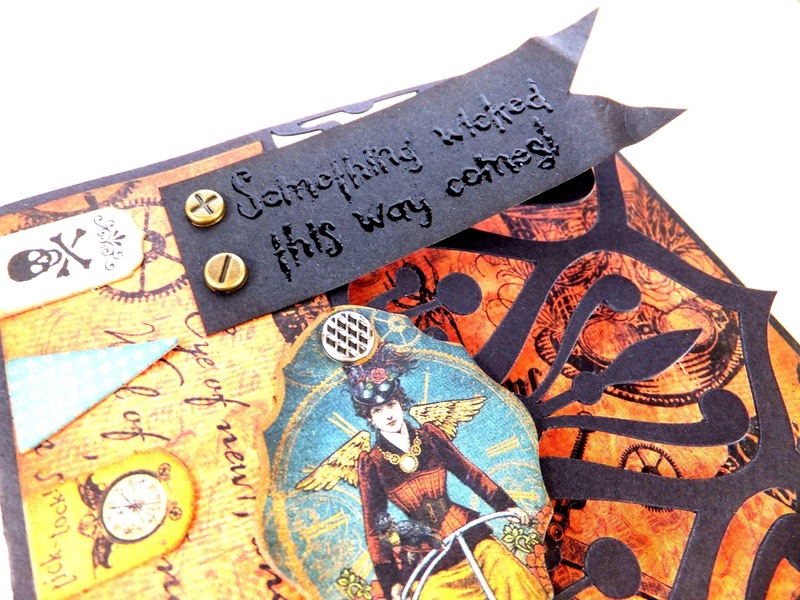 Sarinda here with a card from Graphic 45 Steampunk Spells. I used my Silhouette Cameo and cut file "Daniela Angelova geometric card". I added a inside sheet for more contrast against the lace cutout. Stamped "Something Wicked this way comes" stamp with Perfect Medium onto black card stock then added black embossing powder and heat set. Added the small banner flags to the left edge and Steampunk Women chipboard. Attach chipboard and black flag with brads.